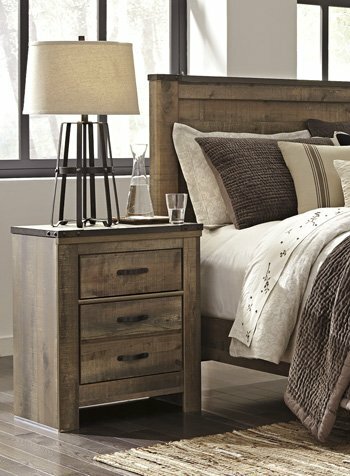 This nightstand brings an authentic sense of style. Rustic finish, plank details and nail head trim are an homage to reclaimed barn wood, making for a sophisticated, vintage-chic look. A built-in charging station for tablets, cellphones and other electronics offers an up-to-date convenience.